How is the television industry structured in the UK. Write a short illustrated report that critically reviews details of the structure and ownership. The following topics should be covered. 1) Critically review the structure of the TV industry, which includes major broadcasters (BBC, ITV etc…), local community TV companies and independent production companies. 3) Rupert Murdock and the UK TV structure – why is he considered a threat to the Moving Image Industries? How is the television industry structured in the United Kingdom? There are three different subcategories within the television industry such as, major broadcasters, as well as local community TV, and independent production companies. Major broadcasters such as the BBC (British Broadcasting Corporation) and ITV (Independent Television) are the most well-known and acknowledged television stations that are broadcasted nation wide. Compared to local community TV, which is only shown regionally, and independent production companies, which are not as widespread as the BBC and ITV, they have many contradistinctions and are just not as notorious as these major broadcasters. The BBC is set up under a royal charter. As it says the BBC’s website, the royal charter has six main public purposes. The corporation provides high quality news to engage viewers and represents the United Kingdom’s nations, region, and communities, while bringing the world news to the UK and the UK news to the world. The BBC promotes learning and education, discusses emerging technologies, it encourages creativity and cultural excellence. The structure of television for the BBC is made up of the many different boards such as the Commercial, Creative, and Journalism Boards. Those all advise to the Executive Board, which is responsible for managing The BBC and in turn informs the Board of Governors who finally presents it to The Queen. It then goes through media regulations such as Ofcom to make sure it is all right for public television. The BBC trust is around to serve the public as well as ensuring that license fee payers get the best out from the BBC. Rupert Murdoch is one of the largest media conglomerates around today. Murdock inherited his company through his father. He then controlled newspapers in Australia and New Zealand prior to extending his business to the United Kingdom. In 1969, Murdock bought News of the World and The Sun newspapers, and then purchased The Times newspaper in 1981. Murdock wanted to further increase his business, and he joined into the moving image side of news; in 1989 he launched Sky Television, a satellite broadcaster that has dominated the British pay-television market. Murdoch is chairman and CEO of News Corporation. In America he obtained companies like Twentieth Century Fox, The Wall Street Journal, and The New York Post just to name a few. In 2000 Murdoch’s News Corporation was in possession of more than eight hundred different companies in over fifty countries. In the United Kingdom the BBC has more than twice as many viewers than Sky, But News Corp is dominating the press over competitors such as The Daily Mail. 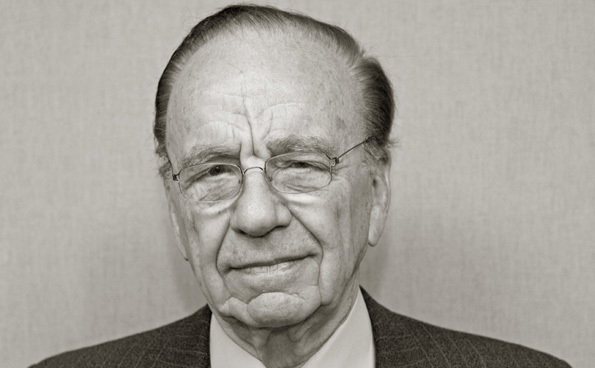 So who is afraid of Rupert Murdoch? Who does he pose a threat too? Some people would argue that Murdoch is creating a monopoly with the media that is being fed to the general public. Which is a bit frightening, because if one company were to control all the media they can basically choose what to broadcast and what not to broadcast. “Media conglomerates operate as oligopolies, or a few large organizations dominating the market” (Gill Branston & Roy Stafford, 1996). It is remarkably true that Murdoch owns a major percentage of media that the public receives, but to say he is creating a monopoly is a bit far-fetched. The definition of a monopoly is the exclusive possession or control of the supply or trade in a commodity. Rupert Murdoch could never create a monopoly even if he tried. “I am not a monopolist as some claim. I have given people choice” (Rupert Murdoch). Only it is not Murdoch who has given us choice because choice is all around us. Nobody is forced to watch and read media only from News Corporation. Plus nowadays the Internet is the main source of endless media that people use. No one person can control all the media that the Internet holds and it is solely up to each individual to choose what they read or watch and make up there own decisions upon what they believe. So is Rupert Murdoch an evil mastermind or a strategic innovator? Well that is up to your own personal interpretation and what ever you choose to believe. Some people fear Rupert Murdoch because he holds a considerable amount of power when it comes to media that is being produced. In spite of that the BBC is still on top in the United Kingdom. Rupert Murdoch said “The world is changing very fast. Big will not beat small anymore. It will be the fast beating the slow.” The media of the world today is created so quickly that there will always be various choices of media to choose from, creating healthy competition. I believe Murdoch is a bright business man, and people shouldn’t fear him because they think he will control all of the media; if anything they should fear some of the articles and programmes that he produces and are fed to the public. I believe that in the future there will be a bountiful of different types and varieties of news and film available, because technically, the moving image industry is still a relatively new form of media. It just goes to show, that media is such a growing commodity, and will always be prominent and found globally in a variety of different forms. n/a. (n/a). BBC Structure. Available: http://www.bbc.co.uk/aboutthebbc/insidethebbc/managementstructure/bbcstructure/. Last accessed 3rd Jan 2013. Gill Branston, & Roy Stafford (1996). The Media Students Book. 2nd ed. London: Routledge. pg255.